It’s almost holiday season, so it’s only appropriate this week’s root beer has snow and a follicle-filled man. This root beer is distributed by Intrastate Distributors, who produced the second root beer, Towne Club, on this odyssey. 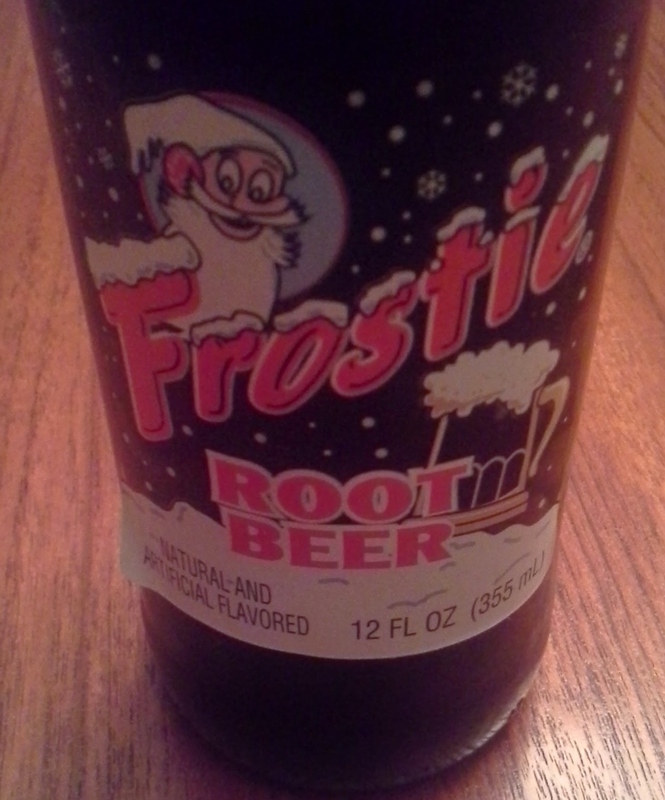 The Frostie brand has shuffled between distributors, and at one point took a back seat to Dad’s Root Beer. The root beer has the wintergreen overtones, and is sweet. It’s a smooth, instead of syrupy, texture and has a decent amount of pizzazz. It’s superior to the other two flavors previously tasted from Intrastate Distributors: Towne Club and Dad’s. Before starting this tasting tour, I knew there was some variety in root beer, but never imagined that ranking root beers on a one dimensional scale would be so difficult. That has very little to do with the root beer, and so does this: Get out and Vote!